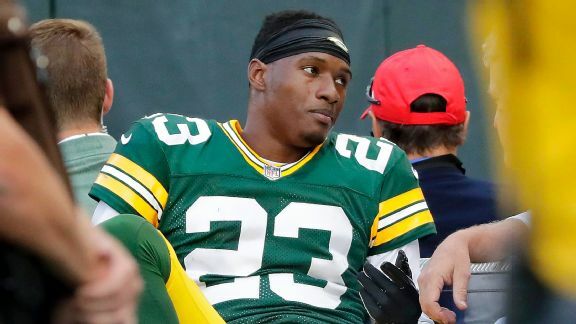 Bryce Treggs has been catching some heat on Twitter for a hit he made on Damarious Randall, with the Eagles wide receiver also being called out by the Packers cornerback himself, Kevin Spain of USA Today reports. Treggs said Monday in a since-removed tweet that he was fined by the NFL for the hit. Before it was deleted, Randall responded by calling out the wide receiver. Treggs hit Randall during the first quarter of his team’s preseason opener on Aug. 10 while blocking on a LeGarrette Blount run. Randall left the game with a concussion. On Twitter, Treggs defended himself against comments blasting him for a dirty hit by saying that he has to get noticed in order to make the Eagles’ 53-man roster. As an undrafted guy fighting for a roster spot, you're always trying to stand out on film. A lot of y'all don't understand that.